The possession of a key - particularly a 'master key' - is symbolic of having authority and power. The person who holds the key has the power to grant, or to deny access, to a room, a particular area or to a depository of some sort. The rationale for keeping these places under lock and key is to provide safekeeping to the their contents. Just as "rights" and "duties" are mutually related - i.e., that neither is absolute or independent of the other - it follows that the possession of a key also confers the responsibility (duty) to make proper use of the power to provide or to deny access to precious places or objects. One of the most precious gifts which Christ bequeathed to the apostles and their successors is: truth! "You shall know the truth," Jesus told his followers, "and the truth will set you free" (John 8:32). And again he said: "When the advocate comes whom I will send you - the Spirit of Truth - He will teach you everything and remind you of all that I have told You" (John 14:26, John 15:26). The "Power of the Keys" which Christ gave to Peter is inherent in the teaching authority of the Church and in the Sacrament of Reconciliation: "Whose sins you shall forgive, they are forgiven. Whose sins you shall retain, they are retained" (John 20:23). The teaching authority of the Church is contained in both the solemn, dogmatic decrees of the popes (we call them 'De Fide') as well as in the so-called "Ordinary Magisterium" when the bishops are joined with the Holy Father in promulgating truths of faith and morals. Theological debates in the Church today - some would classify all discussions as "dissent from the 'Ordinary Magisterium'" - such debates concern issues which have not become "de Fide" matters of faith by formal declaration of the pope or by a general council of the Church. Encyclicals of popes - past and present - for example, are not 'De Fide' pronouncements, yet they are considered as within the "Ordinary Magisterium" of the Church. Examples of such teachings are" Artificial Birth Control - Euthanasia - Abortion - The death penalty - and, more recently, Embryonic Stem-cell research, ministry to gays and lesbians. It is in areas such as these that people often have recourse to the "supremacy of conscience" in order to justify non-observance of some teachings of the "Ordinary Magisterium." there is no denying that one is morally bound to follow her/his conscience in regards to the morality of their actions. This holds true, even if a person is making an erroneous judgment, for to go against one's conscience is to choose to do wrong. That, obviously, we should not do! One's conscience may be erroneous for a variety of reasons. We, therefore, have an obligation to strive to have a conscience which is correctly formed according to God's revealed word in scripture and in the teachings of the Church. It may sound good to appeal to the supremacy of conscience or to private interpretation of scriptures when one does not take time to investigate the Church's teaching. It "sounds good" but may be seriously misleading. 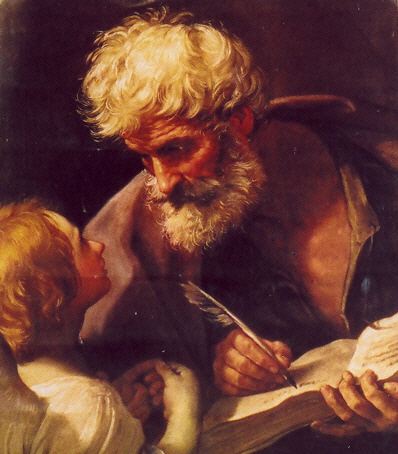 In his second letter, St. Peter referred to the epistles of St. Paul, saying: "In them there are some things hard to understand that (people) distort to their own destruction, just as they do other scriptures" (2 Peter 3:16). Because of this, the Catholic Church has always maintained that it is necessary to have a reliable teaching authority - a teaching authority which enjoys the advocacy of the "Spirit of Truth" sent by Christ. In considering issues which are a matter of debate within theological circles it is helpful to remember that encyclical letters and statements of national conferences of bishops do not spring up out of nothingness. Much research and the expertise of many learned women and men, countless hours of consultations go into documents which are promulgated by the Vatican or conferences of bishops. Such documents are usually tested to assure that they are not contrary to the Gospels or other revealed texts of scripture. In all honesty we cannot simply dismiss all non- 'De Fide' teachings as insignificant. The emblem of the Papacy, which you see on the Papal Flag, is the crossed keys and the pope's tiara. The "Power of the Keys" is a notion taken directly from the prophet Isaiah and from Jesus' statement to Peter. We need to be conscious, however, that the responsibility and power to advance the truths taught by Jesus is not solely the responsibility of the pope and bishops. The Second Vatican Council has defined the Church as "The People of God." As such, we have all been entrusted to live the truths of our faith in such a manner that others may see that Jesus really is "The Way, The Truth and The Life." Jesus and His Gospel message is the master key which provides access to salvation for women and men "of every race and language and way of life."